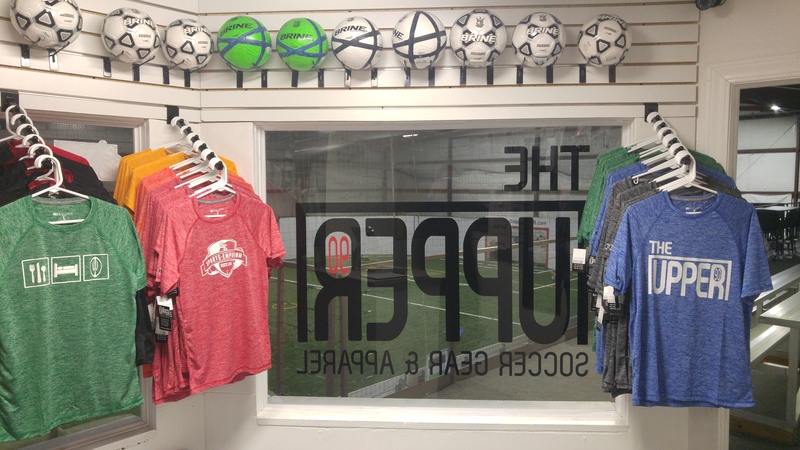 The Upper 90 is conveniently located inside of the Sports Emporium in De Pere, WI. We specialize in custom apparel and have the options to either screen print or embroider any apparel. Unlike most custom apparel companies we are capable of getting Nike, Adidas, and Under Armour apparel. We also provide teams, clubs, or organizations with custom uniforms no matter the sport. 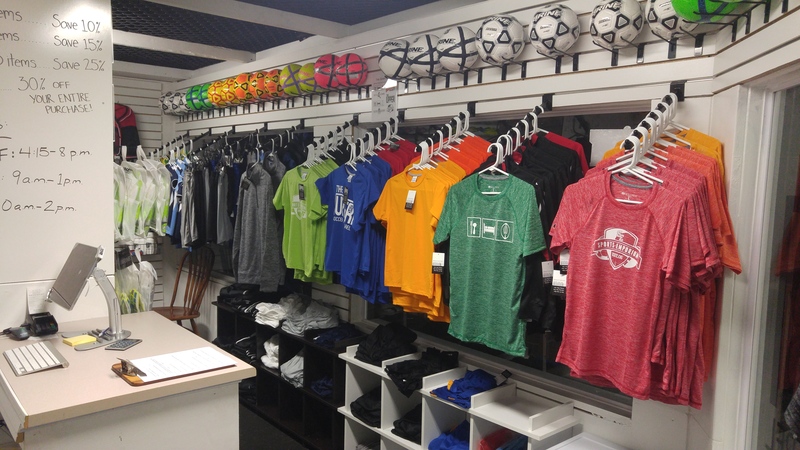 Our store provides our customers with everything they would need to be ready to go on the pitch! 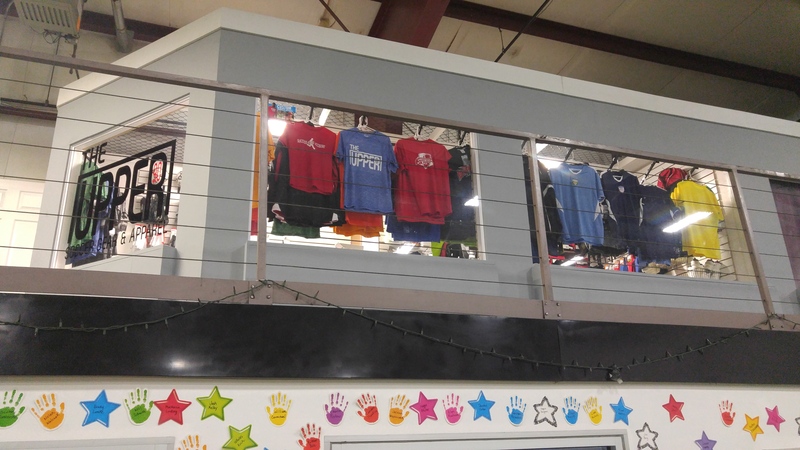 The Upper 90 offers custom apparel to any business, club, or organization. Our services also offer jerseys for any team, in any sport, on any budget. Our specialties would be screen printing or embroidering your design on anything from shorts and sweatpants to polos and jackets! Don't have a logo? No problem...we can design one for you! Soccer is our specialty! 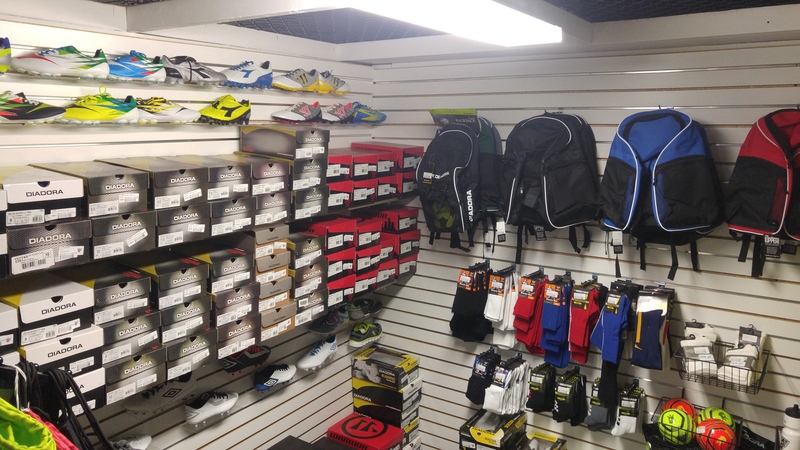 We carry balls, shin guards, cleats, keeper gloves, and more! Next time you're in at the Sports Emporium stop in to check out our selection!